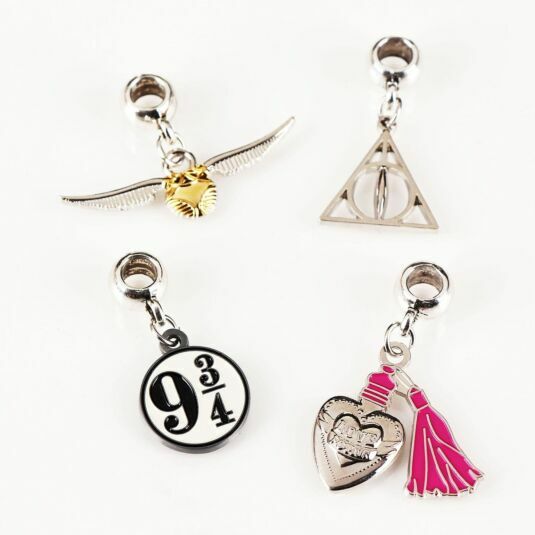 Experience the magic of Harry Potter with this charm set. These four charms are elegant and classy, sure to be perfect on your charm necklaces or bracelets. 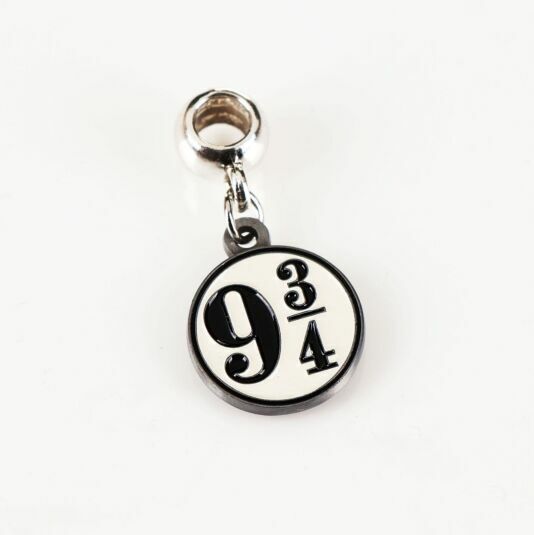 This item is the perfect gift for any Harry Potter fans who are looking to complete their collection or start a new one. 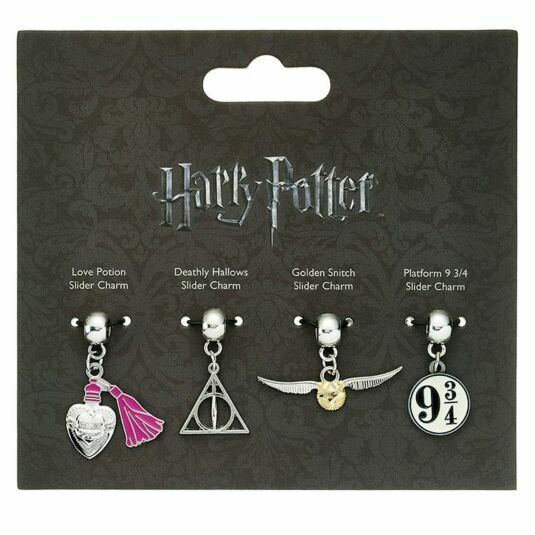 This set contains four charms, a love potion charm, deathly hallows charm, golden snitch charm, and platform 9¾ charm. 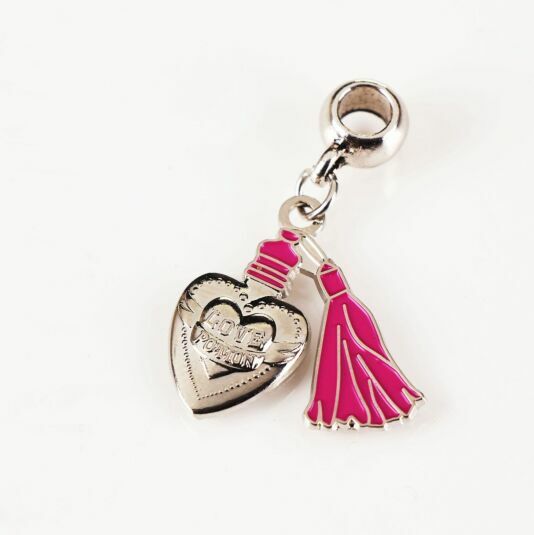 The love potion charm contains a beautiful silver heart, with a vivid pink lid trailing off. 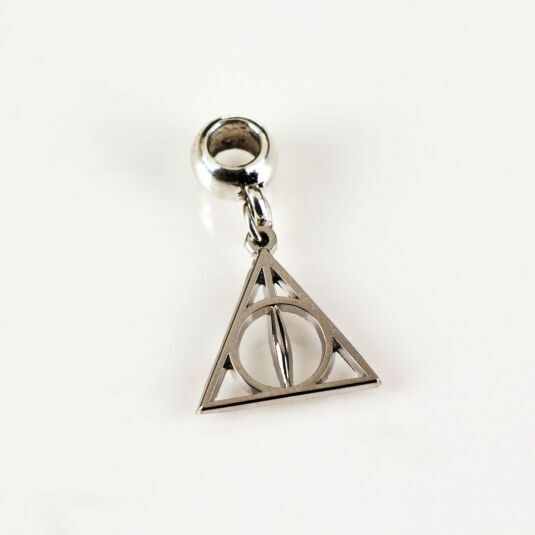 The deathly hallows charm contains a shining silver replica of the deathly hallows symbol, which was so iconic in the last Harry Potter book. 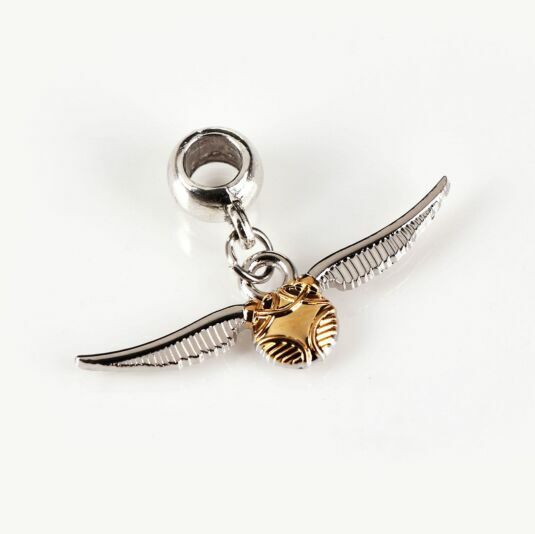 The golden snitch charm contains a vivid golden body, with shining silver wings, and the platform 9 ¾ charm contains a cream backdrop, with the numbers 9¾ embroidered on the front of it in a deep black. 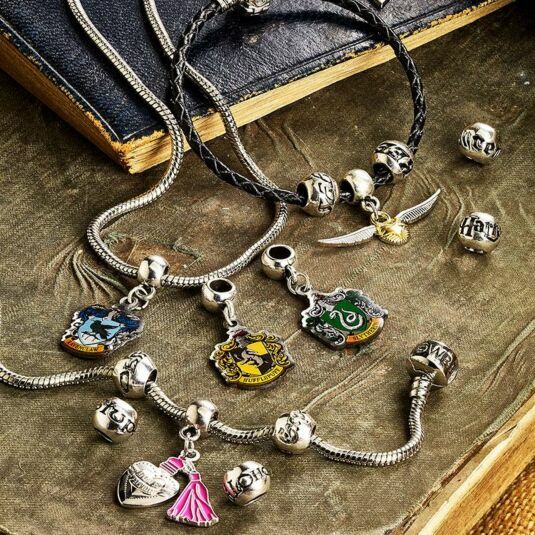 These charms are all attached to a silver plated slider, which attaches to the charm bracelet or necklace of your choice. Each charm is approximately 4cm in height.